Can these ultra-lightweight headphones offer good quality sound? 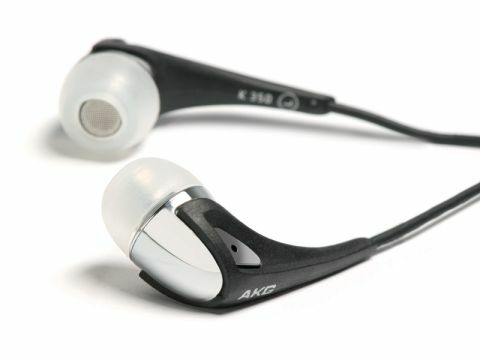 AKG does a busy line in in-ear phones and the K350 model is brand spanking new (this is its first UK test, indeed) and replaces the K330, a well-liked model that's been around for a while. AKG's marketing includes a prominent claim that these weigh only three grams (we're happy to accept that they are among the lightest around, if only by a gram or so), but we could hardly spot a difference in practice. More importantly, perhaps, they are well sculpted to fit a typical ear and come with a choice of easily removable soft earbuds. The cable is quite long at a little over one-metre and includes a volume control for iPod duty – that is, it controls the volume of the iPod itself rather than putting an extra volume control in the way of the signal. This is certainly a model that will appeal to lovers of loud music as it plays louder than most from a typical portable music device. We found its tonal balance a little on the treble-rich side, but there is certainly bass there. In fact, very deep bass turns out to be very good and initial impressions are a touch misleading because the overall balance tilt is something one very quickly learns to ignore. Detail is good, if not quite as revealing as some, except in the lowest bass where it is excellent. Overall, we found the sound exciting, but not invariably the most beguiling.